You are here: Home » A Little Endangered Butterfly has a Great Lesson for Mankind about Climate Change — ADAPT! A Little Endangered Butterfly has a Great Lesson for Mankind about Climate Change — ADAPT! A butterfly species whose population collapsed because of climate change and habitat loss has defied predictions of extinction to rapidly move to cooler climes and change its food plant. 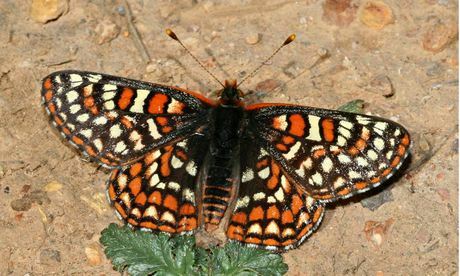 The quino checkerspot (Euphydryas editha quino), found in Mexico and California, has shifted to higher altitudes and surprisingly chosen a completely different species of plant on which to lay its eggs, according to research presented at the Butterfly Conservation’s seventh international symposium in Southampton. Its rapid adaption offers hope that other insects and species may be able to adapt unexpectedly quickly to climate change. “Every butterfly biologist who knew anything about the quino in the mid-1990s thought it would be extinct by now, including me,” said Prof Camille Parmesan of the Marine Sciences Institute at Plymouth University. The Quino was once abundant in southern California but the expansion of Los Angeles and San Diego saw it reduced to just two small colonies. Other populations in Mexico began declining sharply as global warming made conditions too hot and dry for its caterpillars’ food plant, a species of plantain. 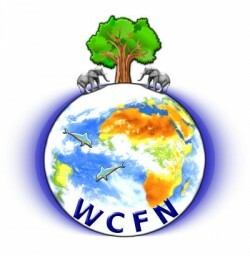 Continue reading here….